Thank you for viewing my website. I want to work with you on any real estate needs you have. Whether buying or selling a home, it is probably the biggest investment you will ever make. I can assist you and guide you through the process. I will strive to provide the best possible service. 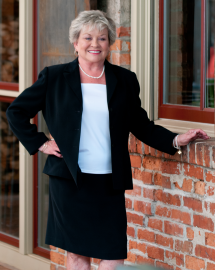 As a real estate professional since 1996, I have education, training and experience to provide excellent service to you. I look forward to working with you on your next home buying or selling venture! Call me, I would love to talk with you. Copyright © Myra Pruit. All rights reserved.